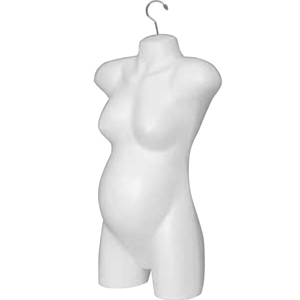 Display your maternity apparel with our Freestanding Full Round Maternity Form. Made from durable heavy-duty plastic and designed for delicate clothing to prevent snag or pull. Features an optional hook for hanging.